Hair loss can affect anyone: Men tend to be more affected because of male pattern baldness. Women might find themselves suffering from hair loss and thinning hair too, making it just as demoralizing for them. There are several causes for this, and finding what the cause is tends to be tricky. It is important to note that hair loss is usually not associated with internal diseases – not even with poor diet. Often times, the hair thins because of genetic factors that are predetermined or simply due to the process of aging. By the time most people get to their thirties and forties, they begin to notice their hair thinning. The challenges of life also contribute to hair loss. Problems like: emotional trauma, sickness, puberty, hormonal changes during menopause, pregnancy, and going on a strict diet that severely deprives one of protein can all lead to hair loss. Iron deficiency anemia and thyroid disease also tend to cause loss of hair and must be treated quickly. Hyperhidrosis: A condition that leads to extreme sweating. This results in the secretion of lactic acid that tends to harm the scalp and hair. Trichotillomania: A classified psychological disorder. People suffering from this condition tend to pull out their own hair from their brows, scalp, and elsewhere compulsively. Alopecia Universalis: The cause of this condition is unknown; however, it causes hair to fall out of the entire body including one’s scalp. Alopecia areata: This auto-immune condition also has no known cause. Hair falls off the scalp in patches. Traction alopecia: This occurs when one has a scarred scalp as well as damaged hair roots. The damaged hair roots can be attributed to tightly pulling the hair and over-styling. Alopecia totalis: The cause of this auto-immune condition is not known, but one loses all the hair on their scalp. Nutritional deficiencies: These can be caused by eating disorders such as anorexia and unhealthy diets leading to hair loss. 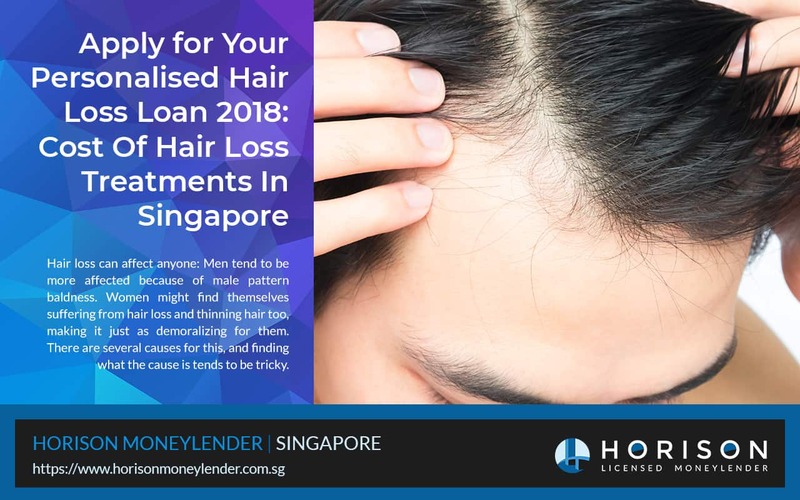 If you find yourself grappling with these issues pertaining to hair loss, we are able to step in with our personalised hair loss loan to help you make your hair loss treatment possible. Treatment for loss of hair is dependent on the cause. It also depends on how concerned you are over the baldness and thinning hair of your hair. In some instances where hair loss is caused by an inactive thyroid, all you need is medication to correct the problem. If the hair loss is a result of cancer treatments such as chemotherapy, your hair will then grow back at the end of the treatment cycle. Others may choose not to treat the hair loss but use hairpieces such as toupees and wigs, to cover the bald patches. These may also come in handy in the short term as you consider a more permanent solution. Rogaine: A topical medication with minoxidil as the active ingredient, this medication works really well and is suitable for both males and females suffering from mild or moderate loss of hair. Propecia: This medication is taken orally and is designed for men who are treating mild or moderate loss of hair. It addresses male pattern baldness and has finasteride as the active ingredient. Alternatively, an oral medication known as Aldactone, is also used to treat pattern baldness in males. Its active ingredient is spironolactone. It is important to note that this medication is not FDA approved. ARTAS Robotic Hair Transplant: This treatment works well for men who have straight brown or black hair. The procedure includes transplanting hair non-surgically. A machine is used to transplant the thicker hair on the parts of the head to the bald areas, while ensuring that there is no scarring. The donor site remains healthy and looks natural, and the transplanted hair looks good too. Follicular Unit Extraction (FUE) Hair Transplant: This non-surgical method extracts each hair follicle, using a punch, which tends to leave tiny holes behind. The sides of your head are shaven but it doesn’t leave you with a linear scar. This method works really well if you are looking to keep short hair. Follicular Unit Transfer: Also known as strip harvesting, this is a procedure that requires surgery. It involves the removal of a skin strip from the scalp that comes loaded with many hair follicles. Usually, the strip is taken from the back and a linear scar is left. From the strip of skin, follicles are taken out individually and grafts are created for the areas that need more hair. This is suitable for those who intend to keep long hair that can cover the scar in the back of the head. NeoGraft: This minimally invasive hair transplant procedure is very similar to FUE. A handheld device is used to extract follicles which are then implanted in the areas that are balding. This device has the approval of the FDA and works really well for all hair types. Platelet-rich Plasma (PSP): This treatment is non-surgical and uses one’s own blood as a stimulator for the regrowth of hair. Essential proteins are found in the plasma and when the platelets are injected in the bald areas, regrowth of hair is stimulated. This procedure is often combined with others for success. Scalp Micropigmentation: Used on a scalp with thinning hair, it is a series of very small dots that are tattooed on the scalp to act as a camouflage. Know which hair treatment to go for? Horison Credit can provide you with the necessary funding to make this possible! With the costs being so high, it is not surprising that most people struggle to pay for treatment. The most important thing to do is to find out if you are covered by your insurance plans, before you commit to any hair loss treatments. You may be partially covered but in most cases, you will most likely be footing the bill out of your own pocket. In this case, it might be wise to turn to trustworthy and stable sources for funding. At Horison Credit, we are able to provide you with personal loans as a means a co-payment. We have a strict code of ethics that we adhere to in order to make your loan application process as seamless as possible. Hair loss need not be a burdensome worry anymore.  Get in touch with us today!